Back in 2007 a Canadian Christian self-published a book he had originally written for his family as a Christmas present. His name was Wm Paul Young and the name of the book was The Shack. It went on to be a publishing sensation selling over 18 million copies worldwide including 600,000 in the UK. Its exploration of a man’s grief following the brutal murder of his daughter gained strong commendations from many high-profile Christians. Evangelist J John said of it, ‘This is the most heart-warming, inspirational story I have read in decades.’ Eugene Peterson, author of The Message gave this endorsement: ‘When the imagination of a writer and the passion of a theologian cross-fertilize the result is a novel of the order of The Shack.’ It also provoked controversy due to the way it depicted the Trinity of the Godhead. Well known US pastor Mark Driscoll described the book as heretical and urged people not to read it. 1. Looking back for a moment to the way you were propelled to fame through the huge success of The Shack, what do you feel you learnt about God and yourself from the experience? Fame itself is rather an odd sort of thing, very transient and rather opaque. It has little substance and therefore I doubt it has any real ability to teach one anything of much value. We learn about God inside the confluence of relationships and I have entered into a time in my life where there is a continual invitation from others into their story. For this I will be always grateful. In the last few years I have found myself drawn more deeply into certain places of wonder, such as the immeasurable worth and value of each single human being, of the necessity of the community of relationships for the process of transformational healing, the kindness and goodness of God who, in no little contradiction to all the language of power and force, I have found to be One who serves and is humble. Every human being ‘is’ a story, not simply has one and I believe more certainly today that God is far more respectful of that story than we will ever be. 2. What would you put the widespread appeal of The Shack down to? I think I know what some of the reasons are, but there is a strong degree of mystery in all of this. I know the book has given many a language to have a conversation about God that is not a ‘religious’ but a relational conversation. I also have seen repeatedly that the story has given many permission to talk about great sadnesses in their lives and to open up very precious places, inviting others to enter. I think The Shack is a very human story full of deeply human questions. 3. 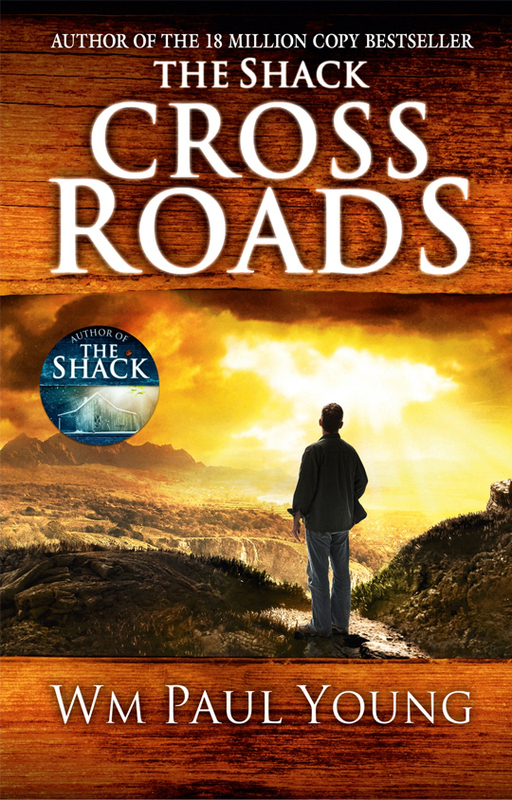 I’m aware that there was strong criticism by some Christians of The Shack’s theology, to the extent that some reviewers were telling their readers not to go near it. Looking back on this, do you feel that any of the criticism was justified? Given the presuppositions of some of the critics it would follow that some of the criticisms are indeed justified. The ideas and concepts in the book are not neutral. Personally, I think the ‘push-back’ is a very good thing and has become part of the conversation. However, there is never a justifiable reason to be unkind and when some of the attack takes on personal overtones or is levied against my family, it is simply wrong. I think it is important that everyone understands that the positive feedback has vastly outweighed the criticism. Also keep in mind that when a group or individual bans a book, it invariably has a huge and positive impact on sales, so I am grateful for these folks. Most of them are ‘my people’ anyway, from the same sorts of religious roots and thinking that I grew up within. And it would help some of them if they actually read the book. 4. What was the starting point for writing Cross Roads? Writing always begins with an idea that rolls around and gestates. Actually, I think writing is as close as I will ever get as a male to having a sense of being pregnant and delivering a child, although physically it is not nearly as painful (I have been at the delivery of all six of our children). I have been around some who have had near death experiences, or coma and I wanted to explore that space, specifically in reference to the potential for transformational change within that space. 5. Following on from the success of The Shack did you feel a weight of expectation on you whilst writing the new book? I am of the opinion that there are many pressures that we accept or take on that become burdens that we were never intended to bear. Expectations fit that category quite well. I am still learning what it means to ‘live inside the grace of only one day’ and part of that is not to spend today’s grace on imaginations, things that don’t exist that we have absolutely no control over. So the answer to your question is ‘no’. I rejected that ‘weight’ of expectation. Not that it didn’t exist, it most certainly did, but I didn’t accept it as having any legitimacy for me personally. 6. Do you sometimes find the writing process difficult emotionally given the subject matter your books cover? If difficult means gut-wrenching and tear-filled, then yes. But I don’t at all see that as a negative part of the experience of writing. For me it is evidence that I am entering deeply into the questions as a whole person, not just an intellect. Hard at times, yes, but treasured too. 7. When you are touching upon the relationship of Father, Son and Holy Spirit in your books, how much would you put down to God inspiring you and how much comes from your own imagination? Ah, now there is a good question, eh? I am convinced in my own heart that God is a God of relationship and therefore ‘participation’ is a constant invitation. God didn’t write my stories by himself, but I didn’t either. The mistakes of thinking, the pieces of writing that aren’t very well thought through…that would be me. Writing, like most creative things I would think, is very living and dynamic, an adventure both arduous and exhilarating. No one else could write what I do, that is the wonder of participation. The individual human person, the uniqueness of their soul and the particularity of their journey and process are all respected by God. 8. What do you hope readers will take away from reading Cross Roads? Publisher Hodder and Stoughton has kindly made available two copies of Cross Roads signed by Paul for me to give away. I you’d like to win one, all you have to do is fill in your name and email address in the boxes below. Your details will not be used for any other purpose than this giveaway and will definitely not be passed on to any third parties. Closing date for entries is 10 December 2012 and names will be chosen at random. Only one entry per person please. This is only open to UK residents I’m afraid. You can also read the first 500 words of Cross Roads on the God and Politics in the UK Facebook page. Cross Roads is available from Amazon and other good booksellers. Winners announced! Congratulations to Pat Midgley and Ella Knapp who each receive a signed copy of Cross Roads. Loved The Shack. Hoping to win one of the copies. If selected, will send my address. we did was one of God’s timing. What an interesting interview. Look forward to reading his new book.